Taber Community Action and Prevention Society (TCAPS) is a multi-agency and citizens at large organization of socially minded people who strive to support social and community issues. We have several programs under our umbrella including Victim Services, Crisis Fund, Taber Community Against Drugs (TCAD), Bags of Love, and Random Acts of Kindness. In addition to our own programs we support many programs of the community. Some of the programs we have recently funded are the wellness walk, Pro Performance Special Olympics, DA grade 8 camp, ACE Place Spartan Race, Family School Liaison Summer Camps, Family Connections Summer Camp Program, DA Girls Event, P.A.R.T.Y Program, Body Image group, Multicultural week, youth Get Cooking club, to name a few. Currently we are working on (and really excited about) new initiatives including a restorative justice program and a community transportation program. We are able to do these wonderful things with the support of this community who have supported our Ladies Night Out Fundraiser for the past 10 years. This year we wanted to expand the fundraiser to include men and women. We are hosting Vegas Night in Taber on November 18th. We are very excited for this event and think it will be a fun night as well as a fabulous fundraiser. We need your help to make it so. For the first time, Wacky Shots was invited to participate in AHS’ Flulapalooza event. Influenza immunizations were available, free of charge, to all Albertans six months of age and older. The event was held at the Exhibition Park for the whole day and there were lots of fun activities for kids like face painting, games (hosted by Lethbridge Public Library), interactive information (booth from local agencies) and a photo booth. Since it was public event aimed for families, we did a green screen photo booth and made the print template more amusing. Thanks to AHS, the nurses and all the organizers for making this event a success. 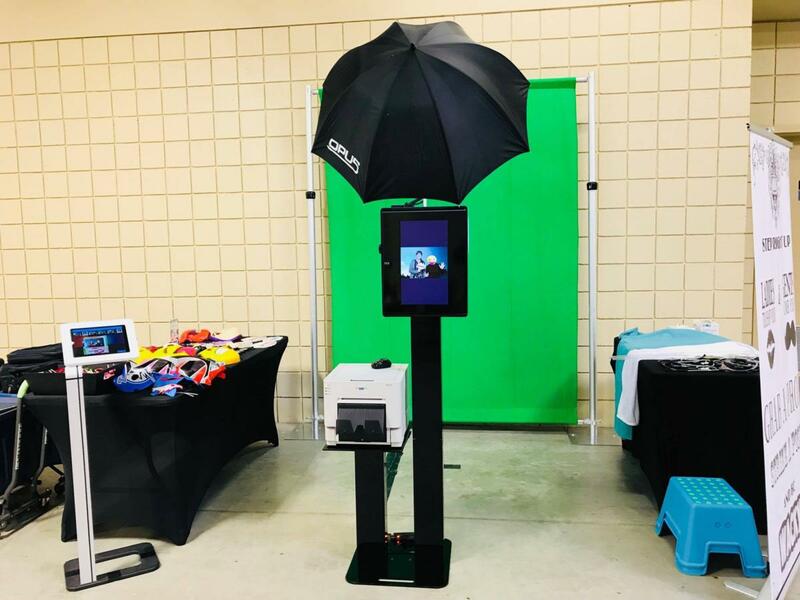 Our Social Media Kiosk allows you to share your photo strip to Facebook, Twitter, Instagram, Email and Text Message… Now you can use it to share a GIF of your 4 photos to Facebook & Twitter! With Wacky Shots, gif animation comes standard with all our packages. Truly the first ok its kind in Lethbridge, Alberta.